Sam Mendes In Talks For Live Action "James & The Giant Peach"
According to Deadline, director Sam Mendes (American Beauty, Skyfall) and writer Nick Hornby (High Fidelity, Brooklyn) are in talks for a live-action adaptation of James and the Giant Peach at Disney. This would make sense, having come off a run of recent live-action adaptations, which included Pete’s Dragon and The Jungle Book. For the past few years, Mendes has been wrapped up in the world of Bond, but could the pull of an even-more visually creative world such as Dahl’s be his next move? Talks are in extremely early stages, so who knows if this news will end up panning out; regardless, I’m a pretty big fan of the Henry Selick‘s animated take on the story, but with someone like Hornby on script could really work, humor wise – and Mendes is no slack director either. We’ll see though – what do you think? Should we give it a rest on the live-action adaptations for a while or are you ready for another? 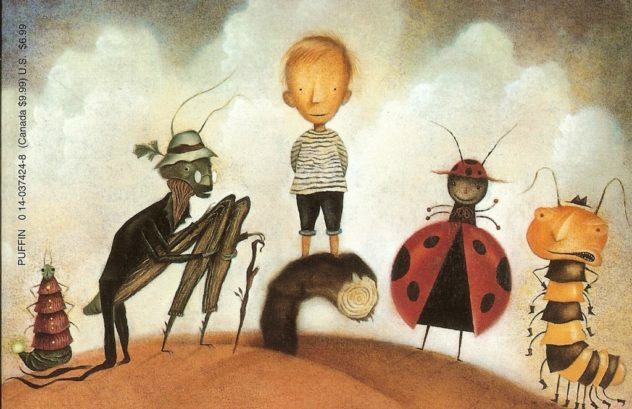 Henry Selick’s James and the Giant Peach Trailer.